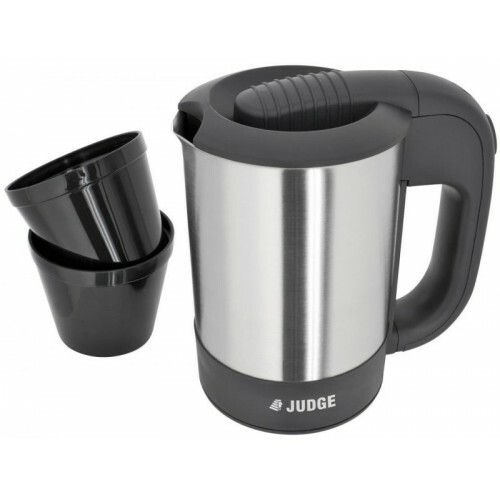 The compact kettle is a perfect serve for 1 or 2 people. 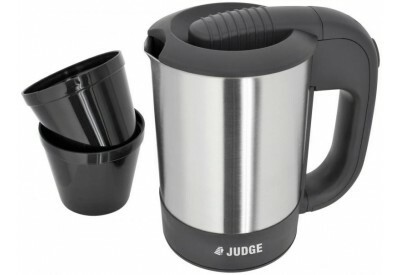 The kettle is 1000W making it quick to heat up, has an over heat protection circuitry for safety, and has no loss of power due to its concealed element. The kettle comes woth 2 thermal cups.